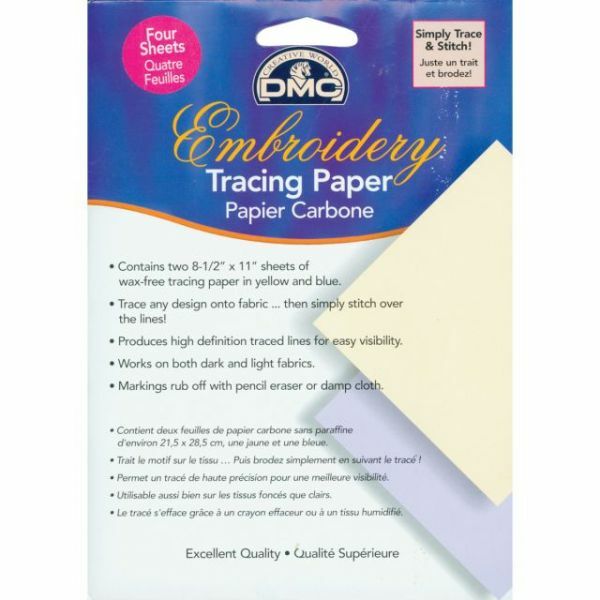 Embroidery Tracing Paper - DMC-Now any line drawing can be transferred onto apparel or a home decor item, then quickly stitched for a customized look. Premium quality, wax-free paper which is less powdery and better grade than most tracing papers. 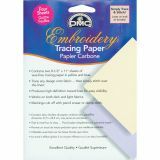 This package contains four 8 1/2x11 inch sheets of tracing paper; two blue (light/medium colors) and two yellow (dark colors). Produces high definition traced lines for easy visibility. Markings rub off with soft pencil eraser or damp cloth. Made in USA.